Whereas now they receive glitzy launches several months in advance to ensure maximum exposure, World Cup kit reveals were of an altogether more low key nature in the 1950s. 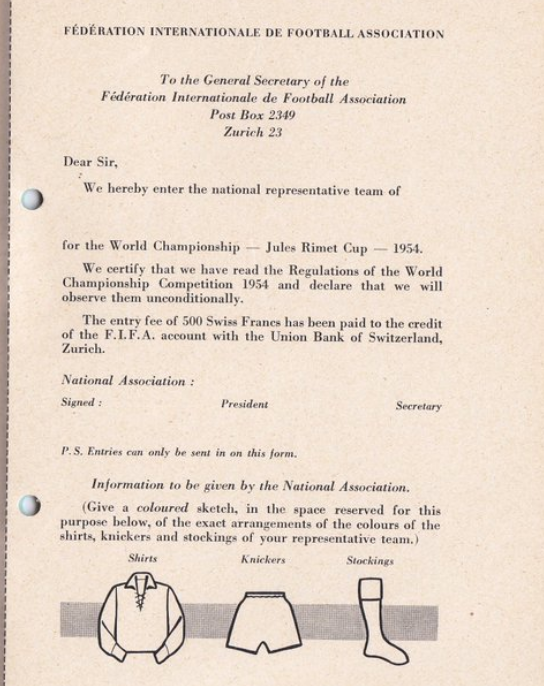 As seen below, even FIFA weren’t fully aware of the kits each competing nation intended to wear until the designs were submitted as part of their registration documentation. Points were then deducted if football associations were unable to successfully stay within the lines*. 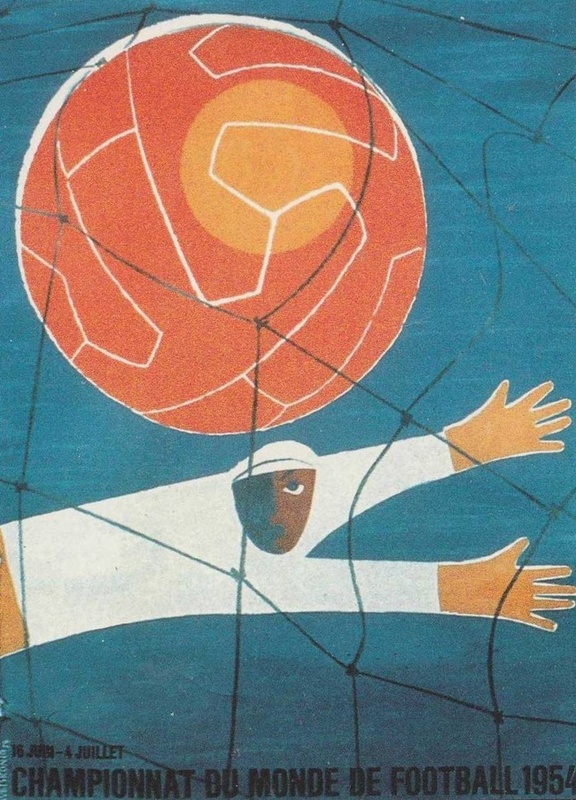 The crayon-based system seen above was used at every World Cup from 1950 to 1970. Of course, the whole process was rendered immediately moot by the fact that all teams played in black and white anyway.